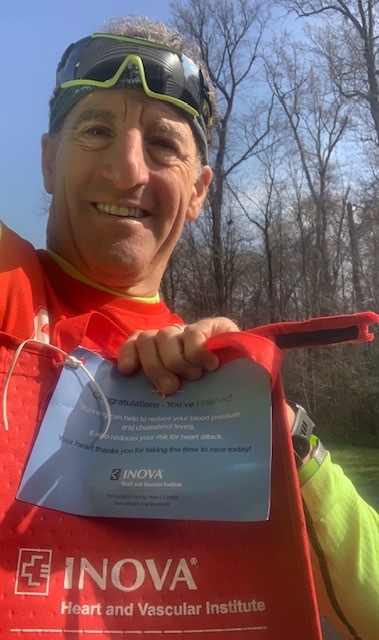 The INOVA Hospitals Heart and Vascular Institute gave out post-race “goodie bags” with fruit, muffins, safety lights, water and other goodies are the LoCo Challenge 8K race. What did lawyer Landau do after the event? He dropped off a half dozen boxes of papers at the Runnymeade Park community shred and recycle event near the Abrams Landau law firm in Herndon! the professional timing team from Potomac River Running (PRR). At many PRR events, awards winners get a store gift certificate in addition to a trophy or medal. These prizes are good for use at all PRR DC, Fairfax and Loudoun County locations. The Landaus appreciate the certificates, which they use to replace worn out or lost running equipment. The LoCo Challenge running events, which circle the One Loudoun development, gave runners a good sense of the close-knit running community and well thought out growth between Dulles International Airport and Leesburg. Runners have lots of trails and the Ashburn Area Running Club takes advantage of all that the area has to offer. They have a run calendar with lots of fun offerings. 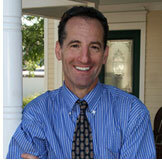 Lawyer Landau has raced at several of these schools and trained on the tracks and fields of others. He hopes that the LoCo Challenge races continue to race needed funds for these worthy teams.